In April 2018, the Commonwealth Games will make a return to the sporting calendar, and it'll be Australia's beautiful Gold Coast doing the hosting duties this time around. It’s no surprise that the birthplace of the bikini boasts some of the world’s most glorious sandy beaches, with 57km of coast on offer for sun-chasers Down Under. 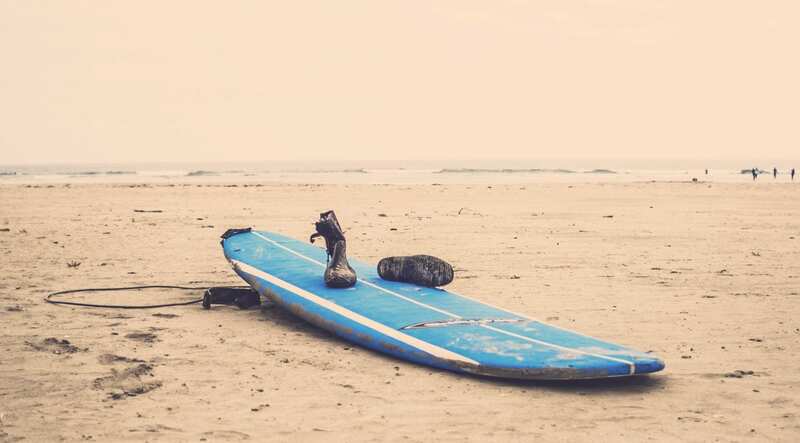 With sand comes water, and with water comes waves, which means only one thing: surfing. The breaks at Snapper Rocks and Kirra attract wave-chasers from around the world, especially when major pro surfing events come to town. Alternatively, travellers can head to the iconic Surfer’s Paradise beach for the famous views set against Gold Coast’s skyscrapers, (ex-World Champion Cheyne Horan has his surf school here) or follow the locals further down the coast to Burleigh Heads, Gold Coast’s answer to Byron Bay and the perfect place to grab a surfboard and catch some waves. But for those who prefer to stay on dry sandy land, daily morning yoga classes dot the coastline from Surfers Paradise down to Currumbin, helping travelers find their Zen the moment they step off the plane. The Gold Coast is one of the most bio-diverse cities in Australia, home to more than 700 animals and 1800 plant species. It also houses 260 km of waterways and 100,000 hectares of world heritage-listed rainforests. Travellers can explore the World Heritage listed Gondwana Rainforest with panoramic views and streaming waterfalls, or test their agility on The Great Walk three-day trek from O’Reilly’s to Binna Burra to Springbrook National Park. For foodies, Mount Tamborine and the mountain villages offer an array of delicious local produce from fudge, to cheese, to wine. The Jellurgal Cultural Centre, Kayak the Gold Coast and David Fleay Wildlife Park have partnered to introduce a ‘Heart of the Gold Coast’ half-day tour transporting visitors from the subtropical Burleigh Headland all the way back to Queensland’s Dreamtime. A local Indigenous guide leads guests up the Dreaming Mountain to discover the origin of Ochre and the importance of local flora, before stopping for an incredible view of Palm Beach to Coolangatta. Next, kayak along the Tallebudgera Creek wetlands and arrive on the banks of wildlife’s front door for encounters with koalas, kangaroos, platypus and nocturnal creatures at the David Fleay Wildlife Park. Running on Wednesdays, Fridays and Saturdays, the half-day tour is priced at $119 (£74) for adults and $99 (£62) for kids. The launch of local business Gold Coast Food and Wine Tours is an exciting addition to the Gold Coast food scene, with walking tours of Burleigh Heads, Broadbeach and Surfers Paradise. Accredited tour guide and business owner Karen Inglis-Turner recently launched her own food tour company to cater for the rapidly growing interest in the region’s food and wine: “High quality dining experiences have put the Gold Coast on the map as a foodie destination, with food tourism one of our fastest growing markets,” says Karen. During the tour the guides share insider knowledge of the industry and show the hidden gems and foodie secrets that only a local would know. Guests will get to meet the people behind the food - bakers, baristas and brewers who are really passionate about what they do and are happy to share their knowledge. A four hour tour costs $129 (£81). With 57 km of coastline to its name and hundreds, possibly thousands of miles of ocean behind that, who wouldn’t want fresh seafood to pair with their Gold Coast holiday? Catch at Hilton Surfers Paradise is dishing up delightful scents of fresh chorizo and Mooloolaba prawn stir fry and confit salmon cooking. Executive Chef Kathy Tindall’s menu offers sustainable seafood with subtle hints of Asian influence. The 160-seat open-kitchen restaurant overlooks bustling Orchid Avenue and features menu items that speak to their sustainable creed. The ‘Actions for Oceans’ option sees a $5 donation go to the Sea World Research & Rescue Foundation, a not-for-profit organisation dedicated to marine life protection. Catch is open for breakfast and dinner daily, with group lunch bookings available on request. Mains cost between £14 and £21. Village Roadshow Theme Park’s hidden gem Paradise Country is now offering the Gold Coast’s newest accommodation option with the Paradise Country Farmstay experience. Home to a host of Aussie wildlife and farmyard experiences, guests can discover more of the rustic world of Paradise Country by turning a day out at the farm into an overnight stay with the choice of a farm style camp, caravan or motor home, or take a true retreat in a Farmstay Eco Tent. Accommodation starts at $180 (£112) a night for two people sharing an Eco Tent.